édité le 13/06/2017 - Plus de news de "Wood" - Voir la fiche entreprise de "Wood"
Wood Group has secured a $6million contract with Woodside to support the execution of phase two of their Greater Western Flank (GWF-2) project, located on the North West Shelf (NWS), offshore Western Australia. Effective immediately, Wood Group will provide engineering support for the subsea pipeline system during the fabrication and construction stages. This 15-month contract will be supported by Wood Group’s Perth, Australia office. It is the third contract secured by Wood Group to support the GWF-2 project and follows the company’s completion of detailed engineering design and procurement activities for the pipeline system. Woodside recently honoured Wood Group with a recognition award, for the successful delivery of that project. Bob MacDonald, CEO of Wood Group’s Specialist Technical Solutions business, said: “Securing the engineering support contract for GWF-2 builds on the technical solutions and global expertise Wood Group has already brought to this complex development. We have supported the project since the concept development phase and will leverage our experience and comprehensive understanding of it, as we continue to focus on the safe and efficient execution of our services. The GWF-2 development represents the next phase of gas supply to the existing NWS project infrastructure, following the Persephone project. GWF-2 will develop the hydrocarbon resources of the Keast, Dockrell, Sculptor, Rankin, Lady Nora and Pemberton fields. 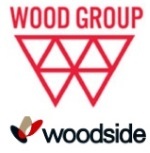 Wood Group also currently provides engineering, procurement and construction management (EPCM) services to Woodside’s brownfield projects team, including the provision of modification and refurbishment services across various onshore and offshore assets. Woodside is Australia’s largest independent oil and gas company, with a proud history of safe and reliable operations spanning decades. As the largest operator of oil and gas in Australia, Woodside produces around 900,000 barrels of oil equivalent each day from a portfolio of facilities which we operate on behalf of some of the world’s major oil and gas companies.